This is a stunning pair of filagree leaf earrings! 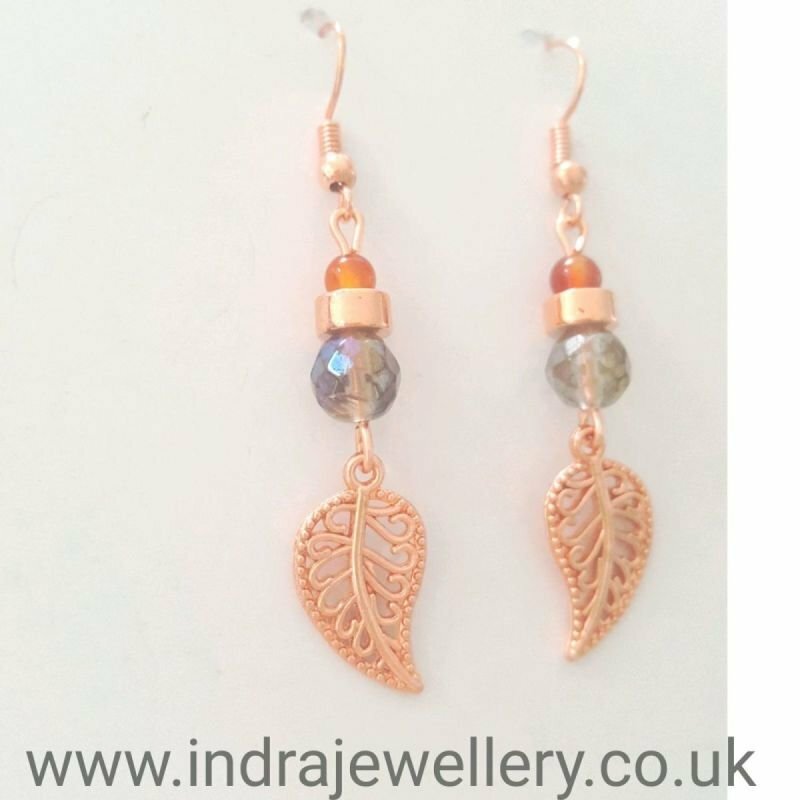 the leaves are rose gold toned filagree leaves and I have added faceted mystic smokey quartz beads which almost have a rainbow tinge to them when they catch the light! I have married them up with some little carnelian beads alongside a rose gold toned spacer and attached them to rose gold plated hooks which compliment these earrings beautifully.